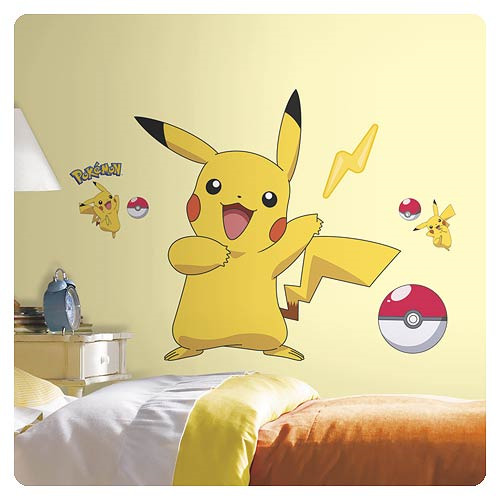 Add Pokemon to your wall with the Roommates Pokemon Pikachu Peel and Stick Wall Decal. Transferable and repositionable, peel and stick on any flat surface as often as you'd like! This decal is the perfect way to dress up a boring wall! Product measures 29 3/4-inches tall x 28 1/4-inches wide when fully assembled. Ages 4 and up.